Here's great boat for the first timer and old timer and well, all timers in between. It has been well cared for used lightly and will not disappoint.The boat is Sea Nymph 14 ands the entire package was sold by Sears These boats have nice lines, flotation under the seats and are stable while at the same time providing nice ride. Especially when compared to flat bottomed Jon boat Easy on the budget to own and operate too, hard to burn gallons of gas over weekend of fishing. The light weight aluminum hull requires less of tow vehicle and is easier to tow. The boat does not leak and all the wiring is working as it should. Including the front and rear navigational lights. 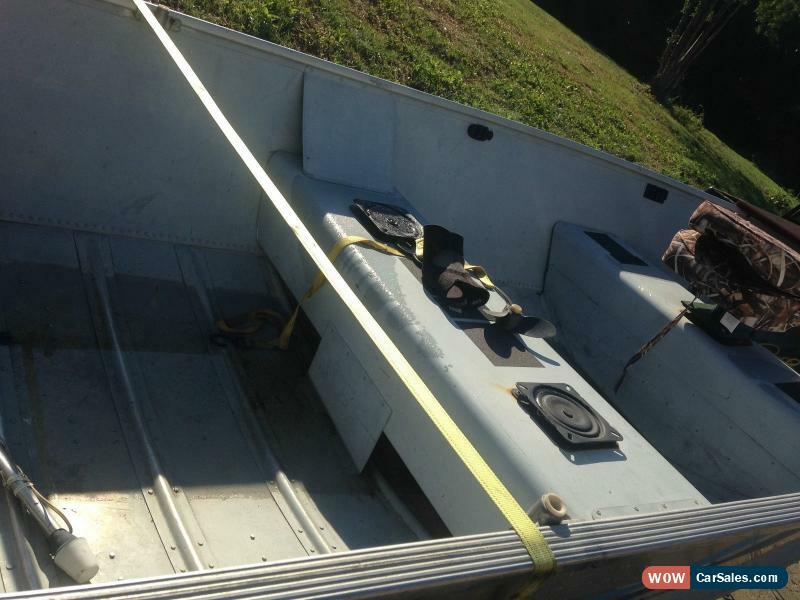 There is small carpeted deck area with storage beneath for the new mushroom anchor and tackle boxes etc. The wiring has been smartly done with each circuit individually fused and indicator lights will light greenif circuit is on. There is an optional bilge pump already installed and additional circuitry available should more accessories need to added. The engine starts easily and has been serviced so the water pump is pumping full force. It produces 9.9 horsepower from its two cylinder two stroke power plant, yes 50:1 gas oil mixture is required. 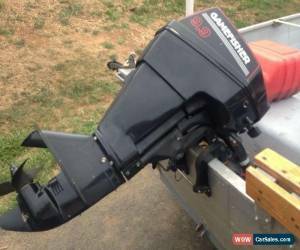 Enough power to move the boat smartly but not overwhelm an inexperienced operator. Under the cowl and the lower unit show like new motor pointing to it's history of light use and low hours. The gallon fuel tank and corresponding fuel line are included. The trailer tows the boat great lights are working as they should and the wheels are equipped with bearing buddies for ease of service. The trailer wiring connector is the flat five variety and the tow coupler is 7/8 ". The entire rig weighs less than 800 pounds and thus can be safely towed by most any vehicle, including Mom's mini van. 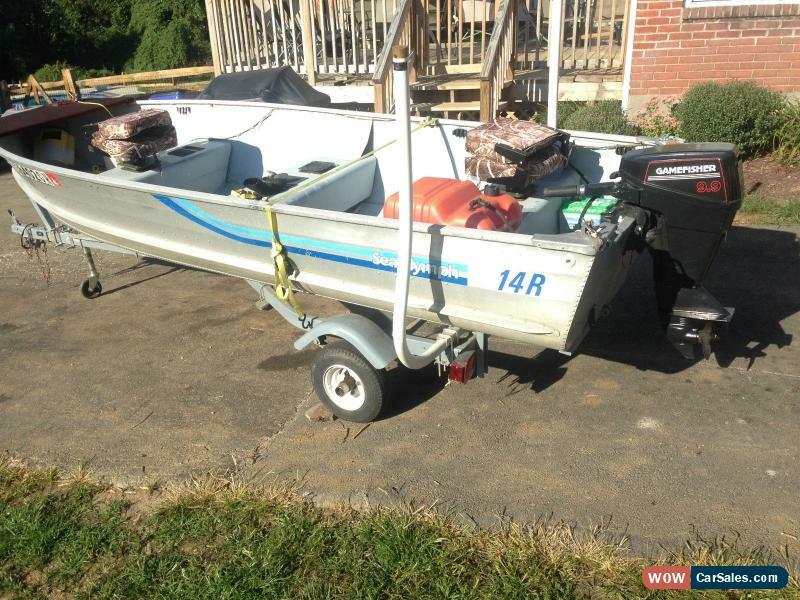 Titles free and clear for both the boat and trailer> Maryland does not require titles to outboards if you live in state that does check with your game and fishery as most likely notarized bill of sale from us will suffice to get you motor title.